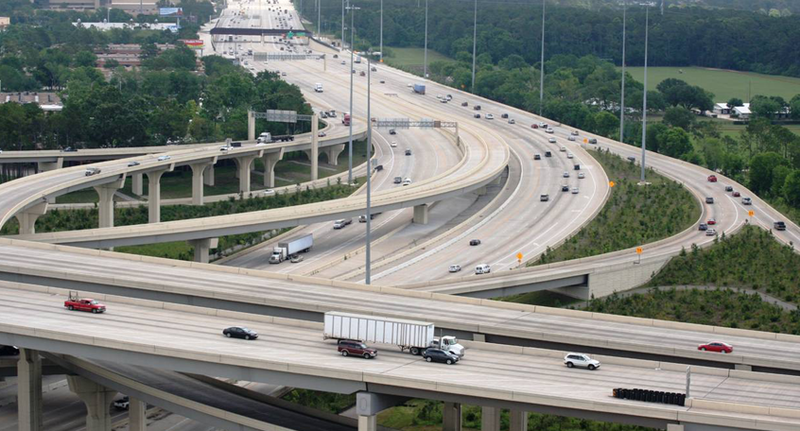 The reconstruction of the IH-10/IH-610 interchange in Houston, Texas, has been a notable success in mobility improvement. 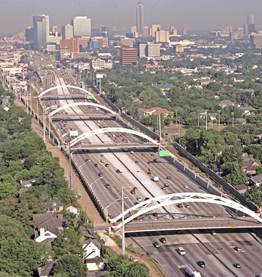 Prior to reconstruction, the IH-10 Katy Freeway was recognized as one of the most congested highways in the U.S. The IH-610 West Loop was notorious for stalled trafﬁc throughout the day with an average daily trafﬁc count of 245,300 vehicles. In all, a total of more than 500,000 vehicles per day were struggling through the inter- change. 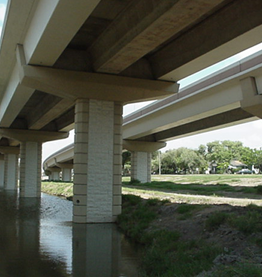 Beginning in 2003, the Katy Freeway underwent a $2.7 billion, 20-mile recon- struction program, and the IH-10/IH-610 interchange project was the largest and most complicated of all ten sections along this portion of the corridor. The $262.5 million project involved the reconstruction of 1.08 miles of IH-10 and 2.55 miles of IH-610, as well as the construction of a completely new four-level, fully direc- tional interchange built around the existing four-level interchange, which dou- bled the capacity of the interchange without requiring additional right-of-way. Williams Broth- ers Construction Co., Inc. began construction on the IH-10/IH-610 interchange on Oct. 4, 2003 and completed the project three months ahead of schedule on Sept. 11, 2007. 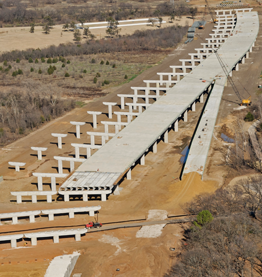 The interchange project was completed in minimal time without inter- ruption to trafﬁc and with less than one percent in additional charges due to ﬁeld changes. The rising speeds of vehicles throughout the interchange since the end of construction indicate that the project has signiﬁcantly improved mobility.